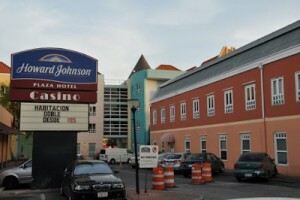 WILLEMSTAD - The Howard Johnson hotel with Paradise Plaza Casino remain closed for the time being. The Gaming Control Board (GCB) says that the hotel does not meet the requirements. In addition, the building is not fireproof. In fact, the hotel does not have a hotel permit at all. According to the GCB, the hotel/casino connection with Francesco Corallo means a problem for order and safety. The casino boss is suspected of tax fraud, corruption and money laundering.